Are you a business owner looking for new ways to advertise? Maybe you’re tried print advertising in the past, only to find out that you don’t reach as many potential customers as you would have liked. If so, Apple Graphics might have the solution to you. We’re one of the top graphics companies serving lower Bucks County and the surrounding area, and we pride ourselves in offering an array of excellent services. At Apple Graphics we specialize in providing high impact visual solutions in the form of vehicle wraps, signs and banners. We work to provide you with the best way to maximize your company’s exposure and improve your company’s visual exposure. 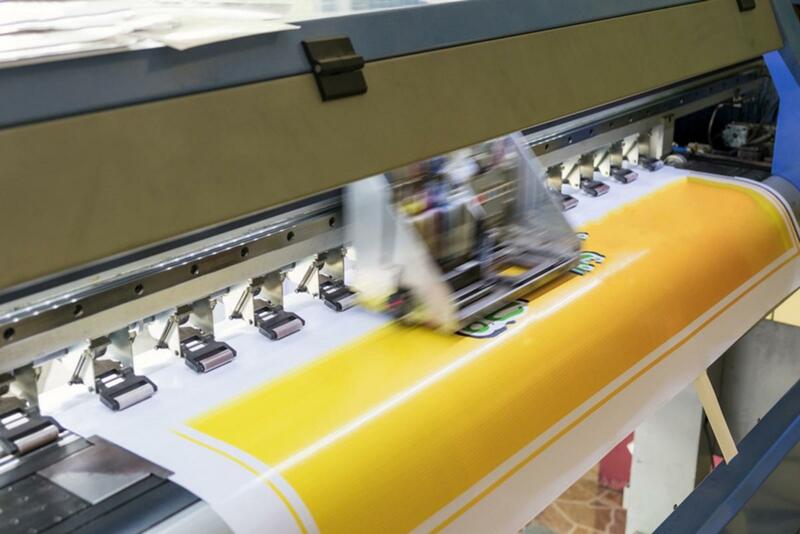 One of the best ways to advertise your business, or to host a special event, is through large format printing. Maybe you’re preparing for a large corporate event, or maybe you are planning a special outdoor training. Whatever your needs, Apple Graphics can provide you with a wide range of large format printing options for you needs. We supply both indoor and outdoor options, and our capabilities include conferences, corporate or specialty events, university posters, indoor and outdoor signs, lawn signs, retractable banner displays and personalized products, as well. The next time you need to put together a specialized event, consider Apple Graphics to take care of your printing needs. With many large format printing options to choose from, you can rest assured that your event will boast the best in large format print visuals for both you and your potential clients. Stop in today to chat with one of our skilled technicians, and choose the best large format printing display for your next big event or display. Are you in the market for fleet wraps? If so, let the skilled technicians at Apple Graphics help you choose something unique for your business. 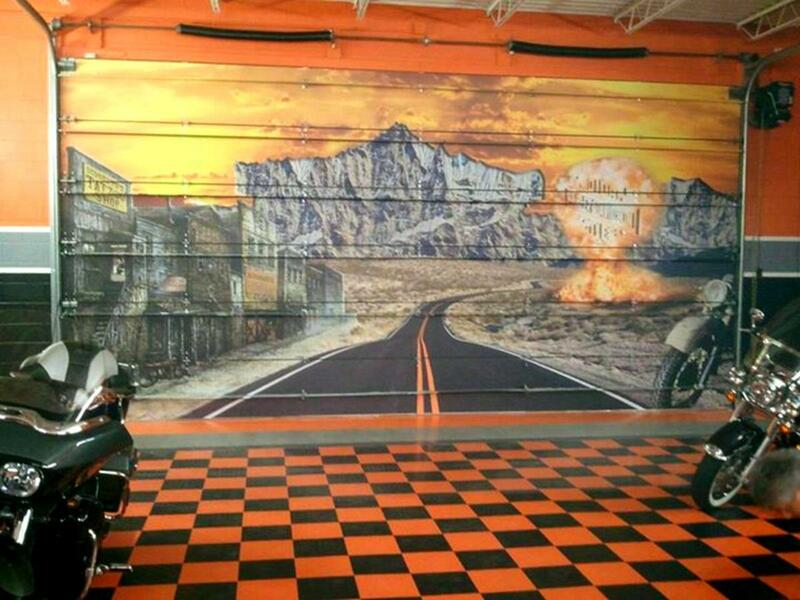 With a custom fleet wrap, you can choose whatever style graphic that you desire and have it applied to your fleet. This innovative advertising technique is sure to boost awareness and marketing power for your personal business. With a custom fleet wrap by Apple Graphics, you are guaranteed an individualized product that will increase your visibility and separate you from the competition. If you’re still on the fence about having a wrap installed, think about the amount of time your trucks spend on the road. They might be on a job, they might be picking up goods for a client, or they might be taking employees out to lunch. Regardless of their mission, they are on the road, and they are being see. Think about how much business you can generate from a customized fleet wrap. At Apple Graphics, we can help promote your business to prospective customers. Your personalized fleet graphics can generate up to 16 million impressions a year, and that’s just an estimate. 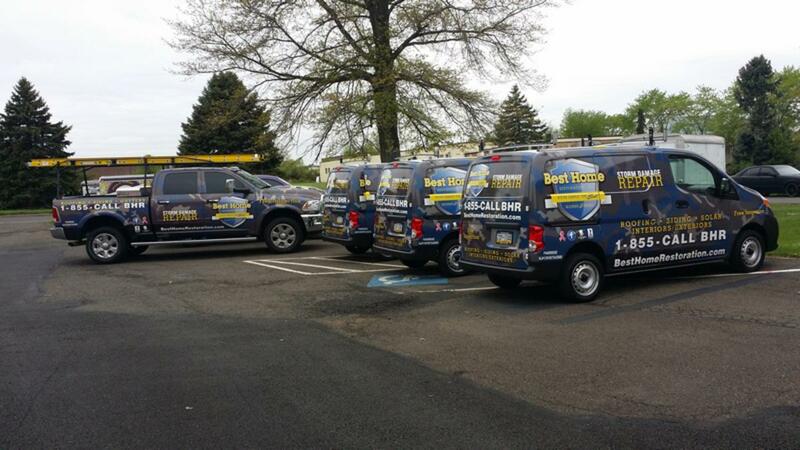 Apple Graphics recently worked with Best Home Restoration on a customized fleet wrapping project. The results? Incredibly unique design with eye catching lettering make their fleet memorable and professional. It’s been proven that fleet graphics are one of the best methods for advertising your business. The skilled technicians at Apple Graphics love working with contractors, freelancers and new entrepreneurs who understand that mobile advertising will get you noticed and also help you brand your company in the area. In addition, we offer financing to help you cover the initial costs of getting your wrapped fleet on the road. Let the talented designers at Apple Graphics create the perfect concept for your business. We will work within your budget so that you can expose your company to potential clients and customers. All of our certified vehicle wrap installers are trained by the best in the industry and all have completed the Vehicle Wrap Training Course. You can check out photos on our site for images of our installers wrapping up the latest pick-up truck for Best Home Restoration.